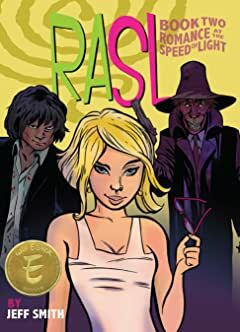 Jeff Smith, the visionary writer and artist behind the epic fantasy Bone and Shazam: Monster Society of Evil, unveils his newest series, the stark sci-fi series, Rasl! 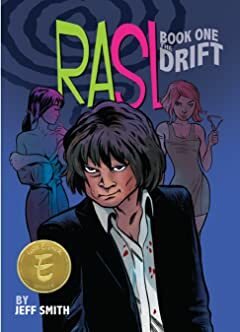 Meet Rasl, an art thief searching for his next big score - and trying to escape his past! 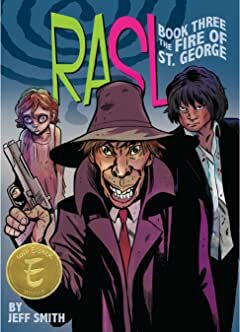 Where other thieves plan their heists with breathtaking precision, Rasl has an ace up his sleeve - he can travel through the light between dimensions, affording him access to museums that no ordinary thief could access! 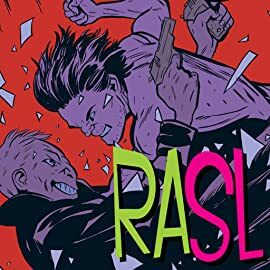 In this issue Rasl faces an assassin's bullet and stumbles across a mystery that not only threatens to expose his own illicit activities, but could also uncover one of the world's most dangerous and sought after secrets. 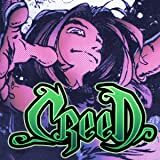 Smith's first major independent work since the critically acclaimed and award-winning Bone will be 32 pages long. 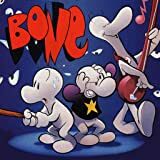 After being run out of Boneville, the three Bone cousins, Fone Bone, Phoney Bone, and Smiley Bone are separated and lost in a vast, uncharted desert. 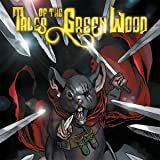 One by one they find their way into a mysterious valley filled with wonderful and terrifying creatures. 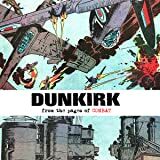 The first chapter in the exciting adventure that became a worldwide graphic novel phenomenon!